​It is possible to get free Internet access in many places today and sometimes you can even get it at home for free too if you live close enough to grab the signal. Although many people don’t think much about how to get access to WiFi internet without paying an internet provider, it is possible to get free WiFi in many places today. Of course you may have to drive to a place that offers free WiFi or you may need to purchase a long range WiFi Antenna, but it is possible to get free Internet access in many places today and sometimes you can even get it at home for free too if you live close enough to a provider to grab the signal. Obviously, the best places to look for a free WiFi connection are the public places in your neighborhood like bookstores, supermarkets, cafes, libraries, schools, hotels, and restaurants. Your connections in the areas that provide free WiFi Internet are generally safe to use, but they may come along with a few owner-imposed restrictions. 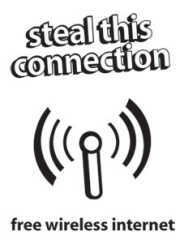 Most free connections will function as a normal Internet hookup, but the owner of the hotspot may choose to restrict access to certain web sites or may not allow you to connect to your online email accounts in some instances, but you should be able to browse the Internet, watch videos, listen to music and download files normally. Your local library is a good place to start looking for free WiFi because the library isn’t offering free WiFi in an attempt to get you to come to their location and purchase something. Many city parks and plazas now also offer free WiFi because they host public events want to get more people to come to them and offering free Internet in those places where various shows, concerts, and other special events are held just makes sense. Starbucks Coffee shops are always a great choice and Starbucks does not require you to sign any agreements or deal with time and usage restrictions either. Another good option is the popular fast food restaurant McDonalds. McDonalds offers free WiFi at more than 12,000 participating restaurants across the nation, but you do have to agree to McDonald’s terms to access it’s “Wayport Access" network before you can get connected. Free WiFi is also available at many other regional and national businesses and more are being added every day. Businesses and stores like Ben & Jerry's, FedEx shipping centers, Barnes and Noble bookstores, and nearly every hotel and airport now provide free WiFi hotspots to anyone interested in connecting. You can also employ one of the many free programs available online that are dedicated to helping you locate your nearest free WiFi hotspot. Locating these programs is a simple as searching online for “free local WiFi” and your search engine will direct you to popular online tools like Jiwire, Easy WiFi Radar, and WiFi FreeSpot along with many others. If you live close to a location providing free WiFi you may be able to connect to the signal but that scenario often requires utilizing a high power WiFi antenna that you’ll have to purchase on your own. Remember that tall buildings, bad weather and even local traffic conditions can all affect the quality of the signal you receive and can slow down your page loading times. Some businesses that provide free WiFi purposefully dial down the strength of their signal so that it is limited to the inside of their businesses for obvious reasons. However, if you put a bit of effort into your search for WiFi you should be able to find a free connection right in your own neighborhood.